Nokia is not doing well. The once juggernaut of the mobile space is still a ubiquitous household name in most of the world, but its name is increasingly associated with “low-tech,” cheap phones. In particular, Apple is eating its lunch in the lucrative smartphone space, where Nokia once ruled the roost. After ruling out a refresh of its aging Symbian OS, Nokia was trying out various variants of Linux. We first had a tablet, the Nokia N770, refreshed a few times. Then we had a phone, the N900. Another phone, the N9 followed. And then, nothing. Instead, Nokia’s management got replaced, and now the helm of the company is in the hands of a former Microsoft man. His first order of business: to declare a global alliance between Nokia and Microsoft. From now on, Nokia was going to focus on building Windows phones. And those of us who had a Nokia Linux phone wondered, What’s the big idea? Turns out the big buzzword of 2012 is integration. The same concept used to be called, synergy, verticality, and siloing. Basically, it’s the notion that you should own all important aspects of your product, in particular hardware, software, and services. Apple, who took over the smartphone space in a few short years, showed the way. It had decent hardware, revolutionary software, and a game-changing set of services in the form of its AppStore. When you bought an iPhone, you didn’t just buy the thing – a stilish device with many flaws. An iPhone buyer got a phone that was a pleasure to use, plus a plethora of additional apps that did all sorts of interesting or plain funny things. When Apple entered the market, the company decided to do its own thing. It created a look-alike product, Android, but left the hardware implementation to a series of phone manufacturers. Android was a winning choice, but lack of a reference implementation meant that there was no coherent Android experience. In addition, the openness of Android meant its manufacturers were going to be on a rapid war path of commoditization, with the resulting microscopic profit margins. Not a good game to be in. At first, it looked like Google was trying to emulate Gates’ Microsoft of the DOS years, selling the software that would run the cheap hardware that killed the old IBM. Then there was a sudden reversal: Google bought Motorola mobility, which could only mean that Google was going to create its own phones. Judging by Motorola’s failures (its Android skins) and successes (its line of thin and stilish phones), this could only mean that Google wanted its own hardware. Which gets us back to Microsoft and Nokia. If you owned a latter model Nokia, you know that the company’s attempts at services were laughable. The app store, maps, navigation, etc. (all under the Ovi brand) were a joke. I much preferred the open source mapping application to the native one, which should be a good indicator of just how poor Nokia’s services were. If Nokia was serious about the N900 line, it really did a horrible job at it. The N900 was plagued with poor software choices and crippling bugs. I loved the phone, but it would occasionally reboot in the middle of a phone call, and for the life of me I didn’t understand why Nokia decided to redo the network manager, which had been running wonderfully well in Linux for years. So, Nokia had good hardware, but very poor software and services. Guess what company has little hardware, but outstanding software and services? Plus, as an added bonus, a giant reserve of cash that is burning a hole in its pockets? That’s right, Microsoft. What will happen? Microsoft will drive down the Nokia stock. Then, towards the second half of the year, it is going to make a buyout offer at a premium of somewhere between 33% and 50% on the current stock value. There is going to be a sale – personalities involved may technically make it a merger, but it’s going to be a buyout. And then Microsoft will own the still largest maker of mobile phones in the world, with a reputation for outstanding hardware and rock-solid software (the Linux phones be damned). The deal has great potential. At this time, the deficiencies of both the Apple and Android model are becoming apparent: iOS development is insular and requires dedicated expense; Android’s free-for-all is starting to see an increasing number of dangerous malware apps. Windows phones have the opportunity to be the best of both worlds: they can be easy to develop for, but at the same time they can be under tighter control than the Android market. The deal is also fraught with liabilities. While Nokia has a stellar reputation in the phone space, Microsoft has a really terrible one. I owned several Windows phones, and I can tell the woes. Just to give you an example that stuck in my mind: the phones would not automatically change time zone when you flew into another city. I would still feel queasy about buying a Windows phone. More potential problems: if Microsoft enters the hardware space, it will have a hard time convincing anyone to use its OS. That’s partially by design (since owning the entire space also means locking out others), but it also opens up the company to a huge vulnerability. It must sink or swim as a whole, and if its first Nokia phone fail, it will have a huge acquisition and a huge software investment (in Windows 8 for phones) to account for. I think that would be enough to make Ballmer’s head roll. That said, a large part of the software you use is code hidden behind the scenes. When you play Angry Birds, there are ugly birds and pretty scenery, but there is also software that calculates the trajectory of the birds, and the impact on the pigs’ castles. When you check your mail, there is the list of messages, but there is also the software that makes the mail app talk to servers. This code, the backend, needs to be rewritten for every iOS app and Android app in the world. Surely, you want to have phone and tablet apps that are custom-tailored for the form factor. But you also don’t want to have to re-invent the wheel. If something has been done successfully and is by now bug-free on the desktop, you’d want to be able to reskin the software for a tablet. That is the legacy of adapting an open source operating system to phones. That’s where Android blew it – limiting you to the use of Java for development, largely. That’s where Windows might have a chance – allowing you to port your software from the desktop to the phone. But a new Linux phone OS, where the manufacturer focuses on doing the boring stuff like fixing bugs (Nokia never did with the N900) and leaves the community free to determine the large-scale advancements, is bound to have a real chance at some point. 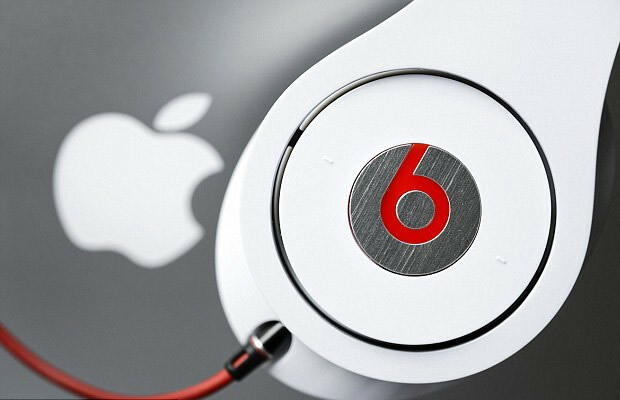 Apple Buys Beats: Who Do I Want to Be When I Grow Up? YHIHF: Do Internet Shopping Companies Ship by Access?